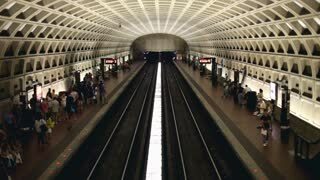 Search Results for "pentagon in washington dc"
Pentagon City Train stop in Washington D.C.
Aerial over the Pentagon in Washington D.C.
a tracking shot of a marine corp helicopter, of the type used to transport the president of the united states, near the pentagon in washington, d.c.
Pentagon Memorial 911 Washington DC 4K. Pentagon Memorial, is a permanent outdoor memorial to the 184 people who died as victims in the military headquarters and on American Airlines Flight 77 during the September 11 attacks. Pentagon Memorial 911 Washington DC pan 4K. Pentagon Memorial, is a permanent outdoor memorial to the 184 people who died as victims in the military headquarters and on American Airlines Flight 77 during the September 11 attacks. Pentagon Memorial 911 monuments Washington DC 4K. Pentagon Memorial, is a permanent outdoor memorial to the 184 people who died in the military headquarters and on American Airlines Flight 77 during the September 11 attacks. Pentagon Memorial 911 marker Washington DC 4K. Pentagon Memorial, is a permanent outdoor memorial to the 184 people who died as victims in the military headquarters and on American Airlines Flight 77 during the September 11 attacks. Pentagon Memorial 911 monument seats Washington DC 4K. Pentagon Memorial, is an outdoor memorial to the 184 people who died as victims in the military headquarters and on American Airlines Flight 77 during the September 11 attacks. Pentagon Memorial 911 Navy military tour Washington DC 4K. Pentagon Memorial, is a permanent outdoor memorial to the 184 people who died in the military headquarters and on American Airlines Flight 77 during the September 11 attacks. 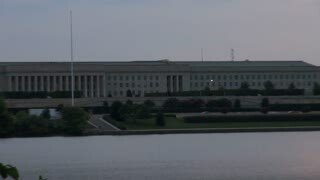 Closeup of the Pentagon building in Washington DC, USA. close up of the pentagon memorial sign at washington d.c. Traveling to Newyork from Washington DC. Flying over Pentagon. 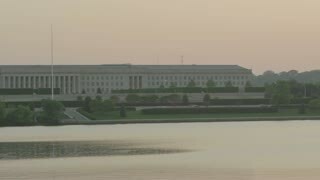 Sunset view of Pentagon. 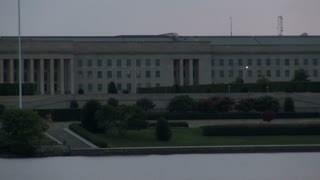 Closeup of the Pentagon building at night in Washington DC, USA. The Pentagon cityscape at night in Washington DC, USA. WASHINGTON DC CIRCA 1951 : The Pentagon is viewed as a short list of UN Prisoners of war is released by Communists as the battle for Korea goes on. 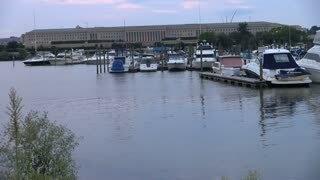 Fast motion scene of busy traffic and Potomac River in Washington DC, USA. View from Pentagon City. The Pentagon building and busy highway during overcast day in Washington DC, USA. Washington, D.C. circa-2017, Aerial view of the Pentagon. Shot with Cineflex and RED Epic-W Helium. Washington, D.C. circa-2017, Wide aerial view of the Pentagon. Shot with Cineflex and RED Epic-W Helium. Washington, D.C. circa-2017, Close-up aerial view of the Pentagon. Shot with Cineflex and RED Epic-W Helium. Washington, D.C. circa-2017, Two government helicopters in front of Pentagon. Shot with Cineflex and RED Epic-W Helium. Washington DC, USA - 15 May 2015: Entrance with escalators to the Pentagon City metro station. Washington DC, USA - 15 May 2015: Corridor and turnstiles inside the Pentagon City metro station. WASHINGTON DC CIRCA 1951 : American servicemen detained in Korea are announced in the Pentagon. WASHINGTON DC CIRCA 1951 : A list of detained American servicemen are printed in the Pentagon during war and their next of kin are contacted. 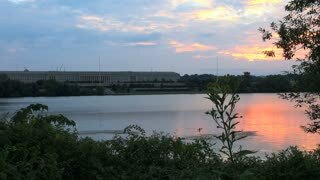 1961 - Installations constructed by the US Army Corps of Engineers are shown, including the Pentagon. Psychological warfare education and training programs are implemented across the country. 1972 - Pentagon staff give a conference following the explosion in the women�s restroom. 1972 - Workers begin to clear the debris after an explosion in the women?s restroom at the Pentagon.